The idyllic Hotel Weidenhof is located a mere few minutes' walk away from the Wörthersee and has 34 rooms. All hotel rooms are lovingly furnished and offer everything one needs for a relaxing vacation. 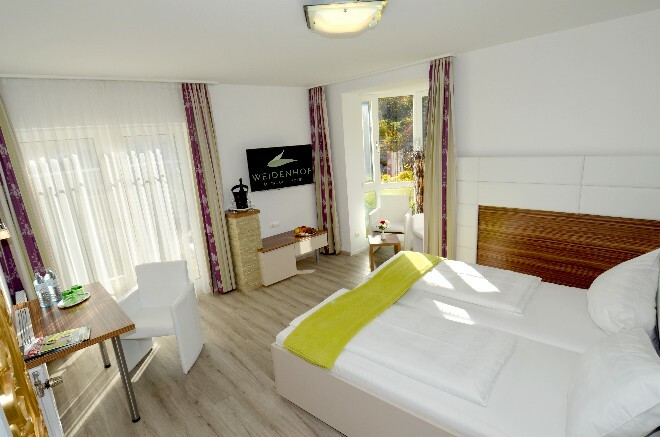 Light colours, large windows to allow a maximum of sunlight and cuddly beds – the rooms of Hotel Weidenhof ensure that you will feel at home straight away! Every single one of our 34 rooms is equipped with a shower bathroom, toilet, self-dial telephone and satellite TV with Sky reception, as well as desk space. Nearly every room sports a balcony or a terrace. We offer only non-smoking rooms. Our sauna is for free for all our guests. Our seasonal offers are yet another attractive reason to spend an enjoyable vacation in our relax-hotel Weidenhof. One night in a single room including breakfast from our rich buffet costs 75 Euro, while a double room costs 120 Euro. A baby bed for children under the age of two is free of charge. Children under the age of six stay free of charge too, as long as they share the bed with their parents. An extra bed for children to 16 years costs 25 Euro – for older children and adults costs 35 Euro per night. Would you like to spend your next relaxation holiday in Carinthia? 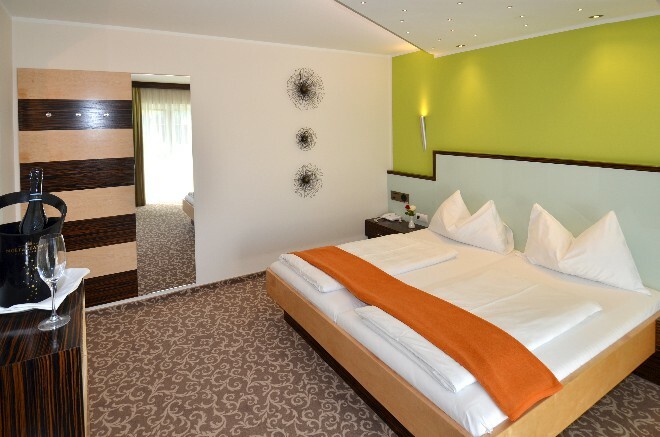 Then our family-run three-star rated Hotel Weidenhof is the perfect choice for you! Contact us now! The Mair family is looking forward to answering all your questions.